It is important to know before reading this that I am a huge scaredy-cat, and heights are the worst of my fears! This should provide everyone with the motivation for adventure: if I can do it so can you! After being in NZ for a few days, the first adventure activity came up and it happened to be a skydive. I was adamant that I was not going to do anything crazy whilst I was in NZ, but my boyfriend (Sam) kept saying how much I would enjoy it. Finally, under a lot of peer pressure, I caved and decided I would do it. We booked the skydive in the morning and arrived at Skydive Taupo HQ in the afternoon. This meant that I only had a few hours to completely freak out. 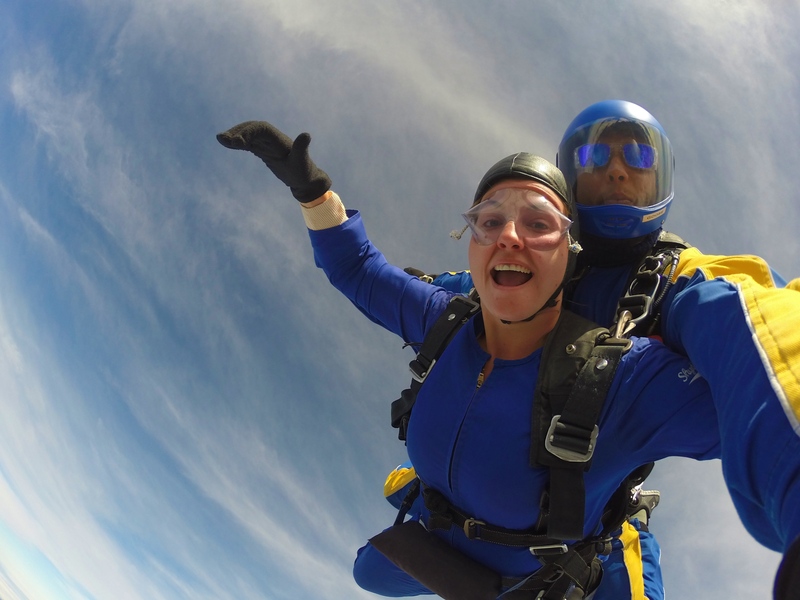 The people at Skydive Taupo were fantastic! I had an amazing experience with them and they were extremely patient; they showed a lot of empathy towards my nerves. 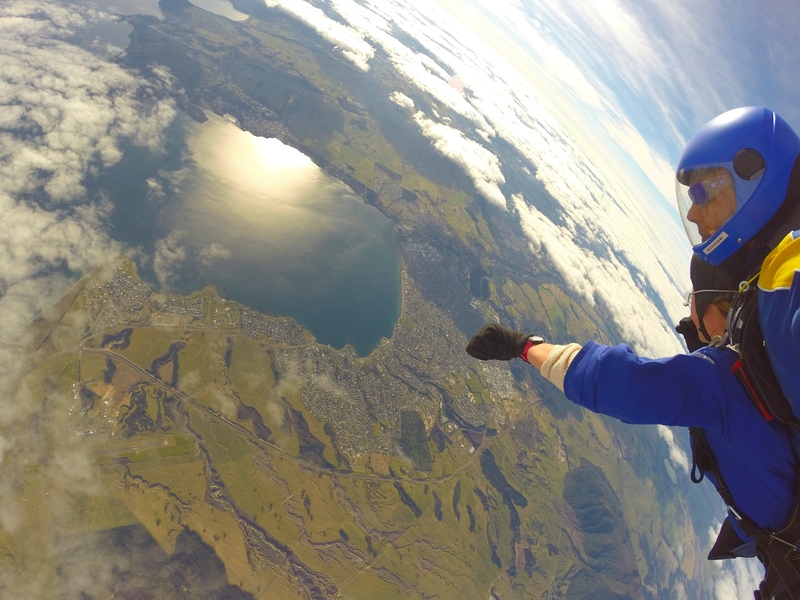 If you only do one adventurous activity whilst in NZ, make sure it’s a skydive! This was the most expensive activity we did, but it was 100% worth it. Skydiving is one thing, but a bungy is a completely different story! Sam is not scared of heights at all, and even he was showing nerves. 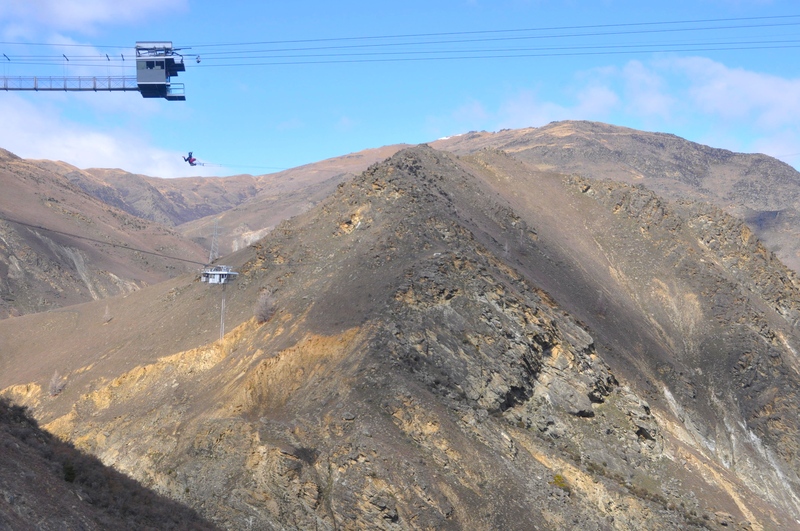 I knew I wouldn’t be able to jump off voluntarily so I opted out of the Nevis Bungy, but Sam thought it was fantastic. I did however, pluck up the courage to do the Nevis Swing, which was a lot of fun! The staff were very kind and took the time to put me at ease, which I really appreciated. The Nevis Swing is the Biggest Swing in the world so I am thrilled to be able to say I have that under my belt! 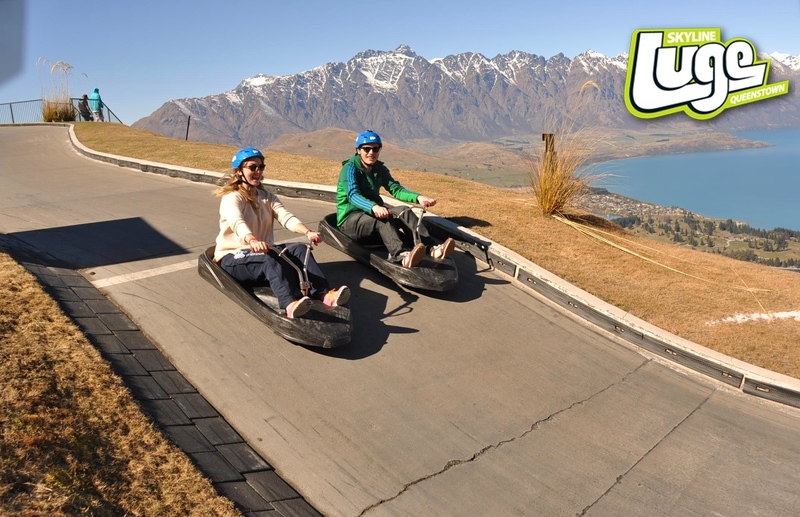 The Luge is a tamer activity than skydiving or bungying, but that just means that it is all the fun with none of the scary! 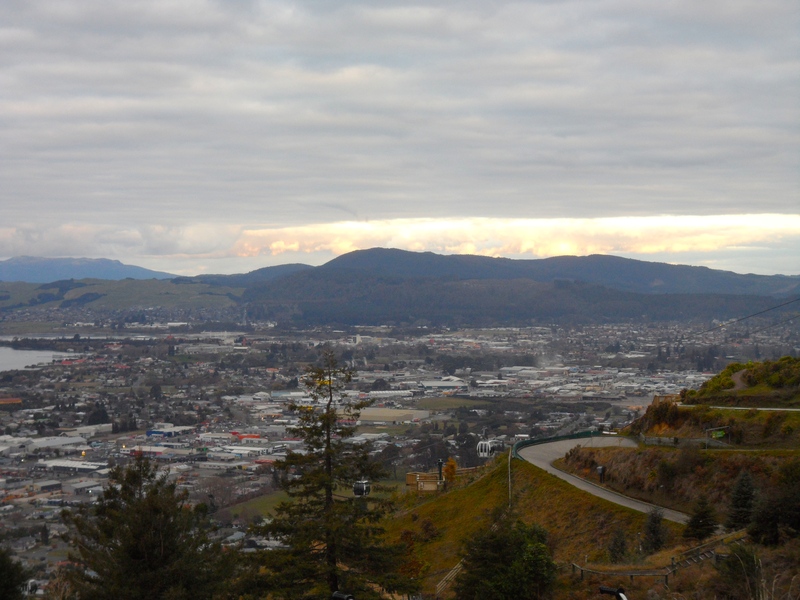 The Luge is situated in both Rotorua and Queenstown but I preferred the one in Rotorua, as the tracks seemed more exciting. The views from the top of the tracks are spectacular (especially in Queenstown), so make sure to take your camera. Whether you are travelling by yourself, in a couple or as a group, this activity is fun for everyone! There are a lot of different ways to explore Waitomo Caves, which means that this attraction offers something for everyone. From walking, climbing, zip lining and black water rafting, there are so many options when booking your caving experience. Depending on how adventurous you are, or what your budget is, you can pick the best combo for you. The best thing about these caves is that no one has to miss out because they are too scared, they can go for a gentler mode of exploration. However you decide to do it, you will be mesmerised by the beauty of Waitomo Caves. 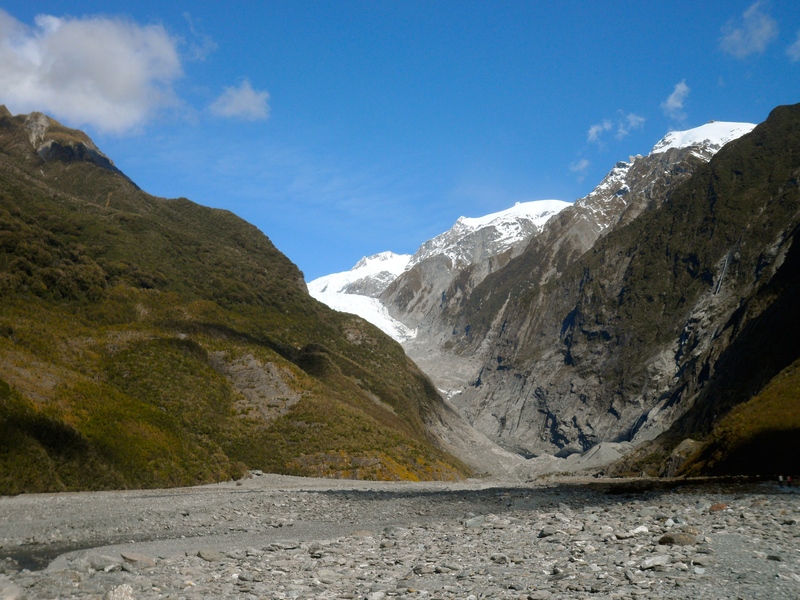 Like the Waitomo Caves, there are a couple of different ways to visit Franz Josef Glacier; you can choose to go onto the ice or simply walk up to the glacier. If you choose the latter then you have the choice of going independently or as part of a group. Again, this means that depending on fitness and budget everyone can experience the Glacier in their own way. If you opt to make your own way to the glacier, there is a car park a short drive from the town of Franz Josef, and from there it’s around a 45 min walk to the Glacier itself. There were many times whilst in NZ that the scenery was exactly as I pictured it to be in the Hobbit. But walking to Franz Josef Glacier was the time this was most apparent to me. The walk itself is pretty easy; mostly flat, but with a lot of stones. It’s incredible to see how much the Glacier has reduced over the years. After making it through all of the previous activities, I was officially all adventured out! Unfortunately, I wasn’t finished quite yet… We stayed with a friend in Queenstown who worked at the Canyon Swing, so she arranged for us to complete the World’s Highest Cliff Jump! I was more scared at the Canyon Swing than I was for any other activity but I still really enjoyed it, and the views are unbelievable! You will be part of a group of about half a dozen people, which makes the experience more fun. It also means that there are extra people there for encouragement! I loved NZ, it was so much fun! I still can’t believe I did half of these things! I’m also not good with heights – I have trouble making it up a ladder. 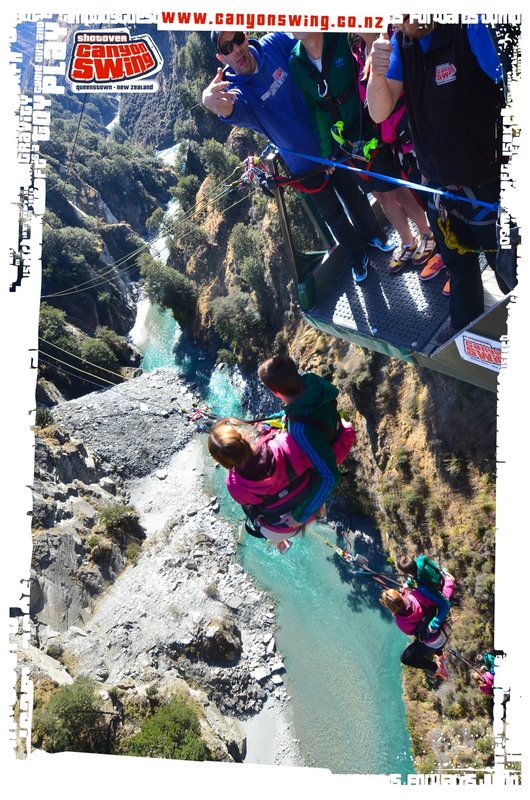 Yet on my trip to Queenstown, NZ I did a bungy, skydive, ziplining & canyon swing. I recommend ziplining, so much fun and after doing the other activities, not very scary either! Oh my goodness! How did you manage the bungy?! That was the one that I definitely couldn’t do – well done! I think being terrified makes it an even bigger achievement, I’m still so proud that I plucked up the courage 🙂 I will definitely have to do the ziplining on my next visit, thanks!